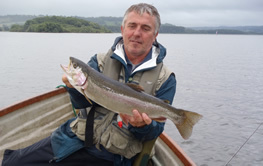 Martin Cottis is a highly experienced, fully-qualified fly-fishing guide and instructor working mainly at Chew Valley and Blagdon Lakes. 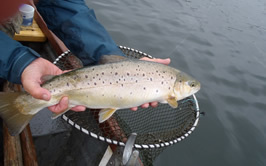 Martin started fishing Chew in 1977 not long after qualifying to be a schoolteacher (then in Lonhttps://www.troutguide.co.uk/don), but he became a weekend regular on the lakes when he moved to his teaching post in Devizes in 1980. 1984 saw a move to Bristol to take up a position in primary education, and from then on in warmer months he would be fishing as often as possible and in the cooler months would be birdwatching or walking near the lakes. 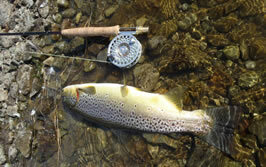 Whether you’re a beginner to the sport and want to learn the ropes, or a more experienced fisherman keen to brush up on your skills and get shown the hot spots to fish, Martin will be able to put together a package to suit you. Follow the links to find out more or get in touch to discuss your requirements.